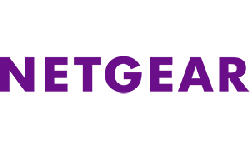 The Netgear SPH200 Triple is a dual mode phone allowing both regular landline calls and Skype calls on the same digital cordless DECT phones. Simply plug in the Netgear base unit to your phone line and your ethernet router (broadband box) enter in your Skype account details and start making both regular land calls and Skype calls all from the same handsets from the comfort of your sofa! Simply plug the Cordless Phone Base Station into your Internet router (Ethernet port) to enjoy making Skype calls. In addition, you can plug the base station into your phone line (PSTN) wall jack to make land line calls—from the same cordless phone. Up to 3 additional phones can be added—so you can replace your current cordless phones throughout your home. 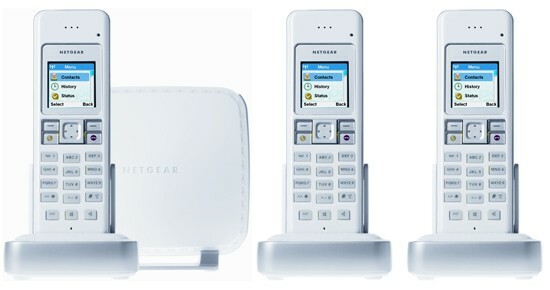 Q: What is NETGEAR’s Dual-mode Cordless Phone with Skype? A: A cordless phone that enables you to make free Internet calls to anyone in the world who also has Skype; or inexpensive calls to any normal phone. 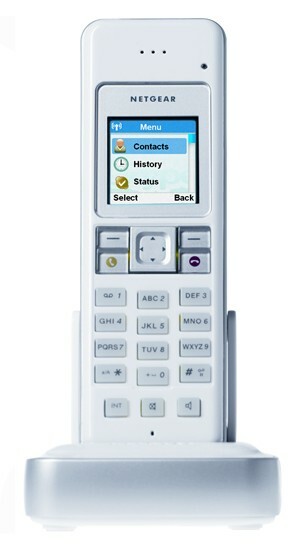 Q: Can I use this phone to make and receive calls through my home phone line? A: Yes, you can use it to replace your home phone and make/receive calls through the use of a land line. Q: Isn’t Skype designed to just work on PCs and laptops? A: Not anymore. Now you can walk around untethered within your home and talk to other Skype users anywhere in the world. Q: On a PC, Skype shows when my contacts are online. How does that work with this cordless phone? A: An intuitive on-screen menu lets you see who is online and available to talk, similar to what you see on a PC. Q: Can I use it to talk with non-Skype users? A: For pennies a minute, and no monthly fee, you can use SkypeOut minutes to call any phone. Q: How do I download Skype to the Dual-mode Cordless Phone?? A: It is pre-loaded with Skype and ready to use–just plug it in to a live Internet connection. Q: What does the term “DECT” mean? A: DECT is a cordless phone standard and stands for Digital Enhanced Cordless Telecommunications. DECT cordless phones provide long range, clear voice quality, and advanced digital features. * Battery talk and standby times are estimates only and depend on network configuration, signal strength, features used, battery age and condition, charging practices, temperatures to which battery is exposed, and many other factors. Please note that the amount of time a phone is used for calls will affect its standby time. Likewise, the amount of time that the phone is turned on and in standby mode will affect its talk time. For further information please refer to the phone’s user guide. **No emergency calling—emergency calls will need to be made by alternative methods. This phone will not function during a power failure or broadband outage. Use of Skype software, SkypeOut and/or SkypeIn is subject to Skype’s terms of service and end user license agreement.